‘Apnea’ means cessation of breathing. Sleep apnea is when there is a temporary cessation of breathing during sleep. Usually, it happens when your throat muscles close up during sleep and air can’t go in or out. This could happen multiple times during the night causing you to wake up over and over again. It is a serious medical condition that occurs in a lot of people. It is the cause of some other medical conditions and sometimes it may worsen a current illness like hypertension. What Are The Forms Of Sleep Apnea? There are mainly two forms of sleep apnea. One type occurs due to problems in the brain, the other type occurs due to problems in the throat. This is the kind that occurs due to problems in the throat. This is the more common form and is associated with heavy snoring. 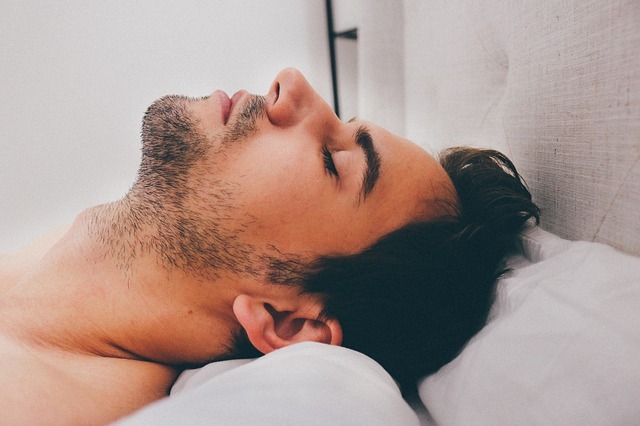 Usually, the cause is the throat muscles (or a large tongue) relaxing when you sleep with your back on the bed. This blocks the airway preventing air from flowing in and out of your lungs. This form is less common. Unlike obstructive sleep apnea, there is no obstruction here. The problem is with the brain (that’s why it’s called central). The brain normally sends signals to the respiratory muscles to cause breathing without you thinking about it. When this connection between the brain and muscles is interrupted, the signals don’t get through so breathing stops. Both types of sleep apnea can occur together producing a mixed sleep apnea. The first step is to see your doctor if you have symptoms of sleep apnea. Your doctor would ask you some questions and do some physical examination on you. This will help the doctor understand what is going on with you and determine if you have any of the effects of sleep apnea as discussed above. The doctor might then decide to run a couple of tests on you to check if something else may be causing your symptoms. These tests may include blood work or imaging studies like x-rays. If the doctor suspects a sleep disorder, then he may refer you to a sleep specialist to perform a sleep study on you. The technical name of a sleep study is Polysomnography and the technician that runs the study is called a Registered Polysomnographic Technologist (RPT). To confirm a diagnosis of sleep apnea, a sleep study has to be done. This sleep study may be done in a sleep lab or at home depending on your preference and the availability of resources (people and machines). As the name suggests, the study is about your sleep pattern; so the study would be done at night. A sleep study isn’t usually done in the daytime which means that you have to sleep over at the clinic. It is advisable that you take along a change of clothes (pajamas and office clothes for the next day). After you have booked an appointment with the sleep specialist for a sleep study, it is important that you maintain your daily routine as much as possible. Continue with your prescribed medications, exercise routine, multivitamins and other habits. Inform the clinic ahead of time if you have special needs for the test. This includes physical limitations, bed-wetting, and difficulty getting in or out of bed. Basically, let them know if there is something about you that they may not usually encounter. On the day of the test, there are certain rules you have to follow in preparation for the study. Bring items that would help you sleep comfortably through the night like a special pillow or blanket. Avoid napping during the day so you can get to sleep at night. Wash and dry your hair without applying any leave-in hair products like conditioners, gels or sprays. Eat before going for the study as you won’t be allowed to eat at night. Clean up all nail polish (if you have any on!) as they interfere with the reading from the pulse oximeter that would be attached to your finger. Avoid any caffeine, preferably for the day, but if you must take coffee, don’t take any at least six hours before the study. Relax and let the technologists do their work. The sleep study may seem like a daunting procedure, however, you don’t need to be worried. It is not an invasive test and there are no needles going into your brain or through your eyes! It is simply a test where you are hooked up to a bunch of machines that monitor what you do as you sleep. Remember that you will be asleep so it requires that you are as comfortable as possible. To help you get even more comfortable, the rooms look more like a hotel room than a regular hospital room. You should be at the study center around 8 p.m. but are expected to start the study from about 9 p.m. to end at around 6 a.m. The scientists require about seven hours of study time so some time is left for you to adjust to your new surroundings. If you can’t immediately get to sleep, it is normal – Relax, and you will eventually fall asleep. Your head – this is where the major organ of study is located. You will be connected to an ElectroEncephaloGram (EEG) machine which measures the activity in your brain. Your eyes – sensors are placed near your eyes to measure your eye movements through an ElectroOculoGram (EOG). Your nose – a small nasal tubing is placed in your nostrils (don’t worry, they are quite small) to measure airflow. Your fingers – a pulse oximeter is attached to your index finger to measure your oxygen levels. This is especially important for sleep apnea. If your oxygen levels get really low during sleep, it’s a clue that you may have sleep apnea. Your chest – electrodes (flat pads attached to wires) are connected to your chest to monitor your heart rate through the ElectroCardioGram (ECG). Stretchy belts are also placed on your chest and tummy to measure your breathing. Your neck – a flat microphone is taped to your neck to record your snoring. Your limbs – electrodes are connected to your legs and/or forearms to register movement and muscle tone through the ElectroMyoGram (EMG). Some people have a sleep disorder where they continuously move their legs during sleep; this test helps in diagnosing it. All these wires are connected to a small box which is connected to a computer that records your activity. You can carry this box with you when you need to use the bathroom in the middle of the study. A camera would be placed in the room to allow the technologist to monitor you while you sleep. If you need assistance during the study, there is also a 2-way communication system to allow you to speak with the technologists. It is also worth remembering that someone is watching you, so don’t get naked! If the technologist notices you have severe sleep apnea during the study, he may run another study during the sleep study. This study is called the Continuous Positive Airway Pressure (CPAP) study. When both studies are done concurrently, it is called a split-night sleep study. In the CPAP study, you are fitted with a mask over your mouth and nose and connected via a tube to a CPAP machine. The machine gently forces air into your airway to keep your throat open. The machine starts with a low pressure and gradually increases until it reaches the right pressure to keep your airway open. This pressure is then maintained to keep your airway from closing up while you sleep. In the morning, the technologist wakes you up and disconnects you from all the wires and machines. You can then get ready for work or go back home. You should get your results in about two weeks. The technologist would interpret the hundreds of pages of data gathered from your study and then pass the results to the sleep specialist who would then make a diagnosis and recommendations. Your results would then be explained to you by the sleep specialist or your primary care physician. Do I Have An Increased Risk For Sleep Apnea? Asides from its effects on the human body, it also decreases the capacity for learning and work. It has been linked to a worsening of Attention Deficit Hyperactivity Disorder (ADHD) symptoms and increased risk of motor accidents. Needless to say, undiagnosed and untreated sleep apnea is not something to joke around with. Sleep apnea is one of those conditions that can be managed in such a way that you don’t have (or you have minimal) symptoms. There is the non-surgical and the surgical treatment method. This treatment method is more common than the surgical method. It is also usually attempted first before going under the knife. You may be asked to modify certain things you do before or during sleep such as sleeping on your back, avoiding alcohol before bedtime, weight loss and smoking cessation. You may also be prescribed a CPAP device or a dental device for home use to help keep your airway open. This takes some getting used to, but it is a very effective means of managing sleep apnea. There are various surgeries available to help treat sleep apnea. The commonest is the UvuloPalatoPharygoPlasty (UPPP) where a surgery is done to reduce the soft tissue in the back of your throat. This widens the airway and keeps it from closing up when you sleep. Surgeries may have complications and have a relatively low success rate of 30 percent. However, when it does work, the symptoms are greatly reduced and you don’t have to deal with a device every night. For the reader who has an appointment for a sleep study booked already, knowing more about the procedure helps to reduce concerns. The aim of this article was to alleviate those concerns – I hope it worked!